Mark turned down the opportunity to become a professional golfer or Archaeologist instead joined The John Lewis Partnership graduate scheme as his dad said he should get ‘a proper job’. In a career with the company spanning more than three decades he was Group Development Director, Managing Director of Waitrose and Deputy Chairman. He left the business in March 2016 to become Minister of State for Trade and Investment in David Cameron’s government. Following the referendum to leave the EU he was reappointed by Theresa May as Trade Minister to negotiate the UK’s future trade deals. He was reappointed again following the 2017 election and stood down from the Government in September 2017. Mark now sits in the House of Lords. As well as his writing Mark has set up a digital business www.engaging.works to help people measure and improve their workplace happiness among other things. 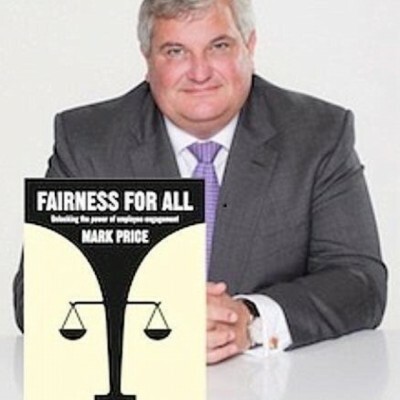 His published works do date include: The Great British Picnic Guide, The Food Lover’s Handbook, The Foolish King (children’s book), Fairness For all (business book based on The John Lewis Partnership) and Workplace Fables. Mark currently has a book about his time in government, two children’s books, and a business book to be published in the near future.